A great American food market serves as a delicious cross section of its home city, with specialty vendors representing old ethnic enclaves butting up against new-school artisans pushing everything from filet mignon jerky to gourmet dried cherries -- basically, they're places you can get anything you want, including lots of stuff you had no idea you wanted. 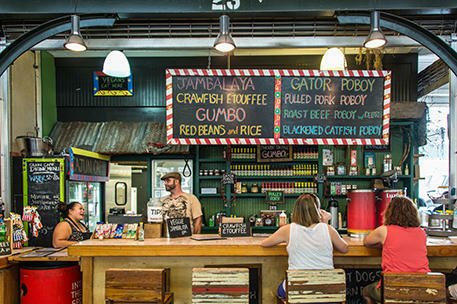 We've profiled 13 of the best markets from across the country below, highlighting a pair of excellent vendors under each just to give you a deeper sense of the flavor. Get your hilariously oversized shopping carts ready. 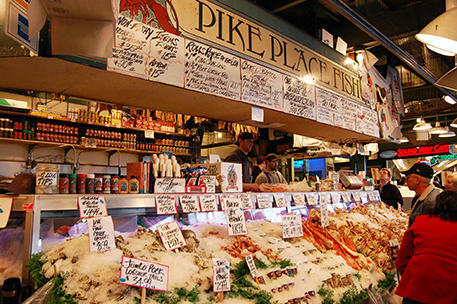 As one of the oldest continuously operating markets in the United States (since 1903), Pike Place attracts a huge mix of tourists and locals alike. It's got a ton of sites, like the 500lb bronze piggy bank affectionally known as Rachel and the first Starbucks ever, but it's really all about the food: foraged truffles, caviar, ground buffalo meat, duck eggs -- you get the picture. This May, the market is preparing to break ground on the first significant expansion of it in 40 years, adding 47 rooftop stalls and 12,000sqft of retail space. That's a lot of square feet of ground buffalo meat. Yeah, cliche, but this is all about something you gotta experience at least once. Checking out, in person, the bellowing fishmongers as they toss multi-pound sea creatures around the place is solid fun, regardless of how many times it's been shown on Food Network. If you really want to avoid the crowds and cameramen, your best bet is a weekday trip. Grab an oyster shooter and some salmon jerky while you're there. See how that says "Handmade" and not "Homemade"? Because that means Beecher's is straight up sifting curds and making cheese on site. 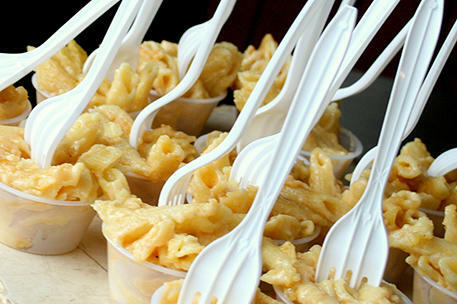 You probably thought there was no such thing as "fresh" mac'n'cheese, but Beecher's gooey offering is as close to that delicious concept as humanly possible. 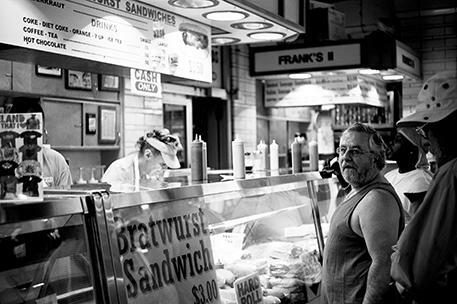 Frank’s has been around for over 40 years and originally didn't even serve their classic meat treat on a bun, instead opting for straight with kraut and mustard. Be sure to go with the hard roll instead of the soft. 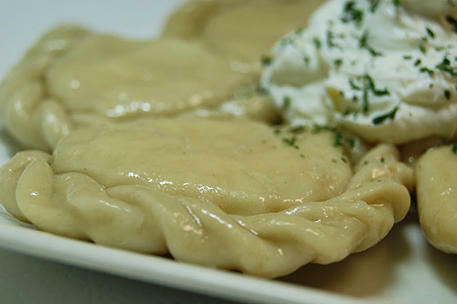 This Polish, family-owned spot serves up 150 different types of pierogi along with noodles, potato pancakes, and stuffed cabbages. Skip the pepperoni pierogi and go traditional potato or cheese. Or just get all of them. All of them is good too. 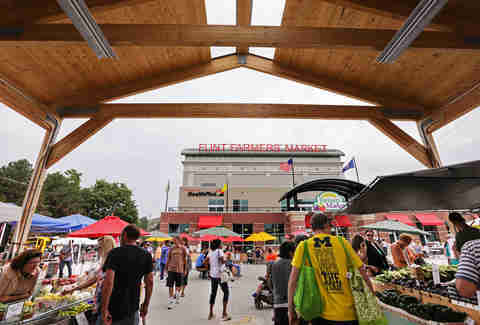 In addition to being a year-round public market with farm-fresh produce and artisan food vendors, The Flint Farmers' Market also doubles as a social meeting space with live music and storytellers who entertain on the lawn -- there’s even a Saturday yoga class for Flint's crunchy set. After 70 years in the same location in the city’s northside, the market moved to downtown Flint in 2014, wanting to be closer to the city center and the university students that flock to the space for its prepared foods and fresh, seasonal fruits and veggies. The kids love kale. 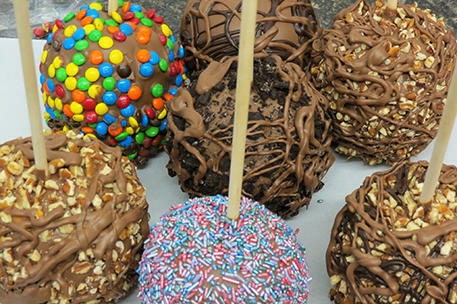 A family-owned business that’s been hand-crafting chocolate for Flint for the past twenty years, Chocolates Galore has cake pops, gourmet caramel apples, and over 100 varieties of chocolates. Though, really, if they had any less than 100, Chocolates "Galore" would have to be in scare quotes like the ones we just did. 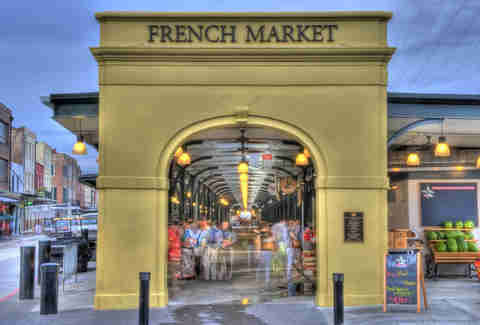 Dating back to 1791, the French Market started out as a Native American trading outpost and is one of the oldest markets of its kind in the United States, renovated, rebuilt, and reworked a host of times. 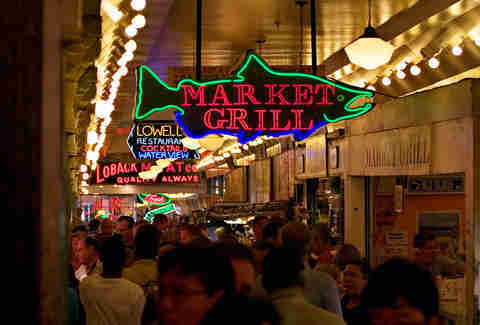 Originally, it was the only spot in New Orleans legally allowed to sell meat. Today, while it doesn't have the meat game on lock anymore, it’s still a great spot to catch live jazz while chowing down on muffuletta sandwiches, pralines, hot sauce, and more local goodies you'll be thanking Thomas Jefferson's wise purchasing plan for later. Take a seat at this food stand and order the crawfish étouffée -- a stew of Creole spices, seasoned vegetables, and shellfish over rice. They even have a solid rep in the vegetarian, vegan, etc. 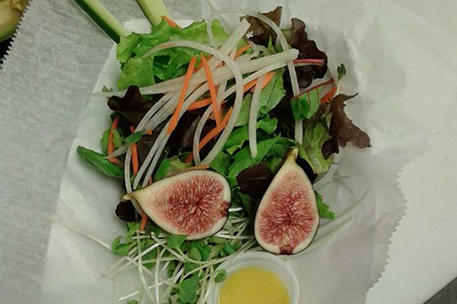 categories, offering dietary-restricted variations on some of their most popular dishes. 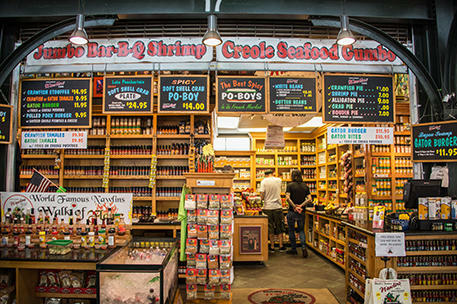 Fact: The first thing you’ll miss when you leave N’awlins is the food, so stock up here on your favorite Creole and Cajun spices, marinades, and hot sauces to take back with you in an attempt to recreate at least a sliver of the culinary satisfaction you felt in Louisiana. 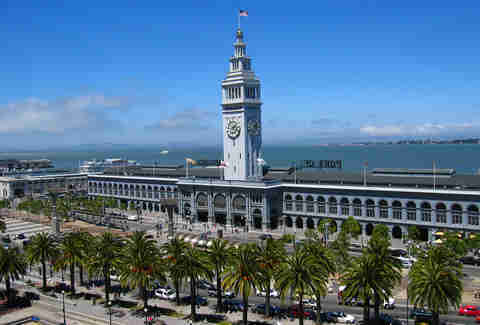 Before the Golden Gate Bridge opened up in 1937, this was one of the busiest transit hubs in the world. 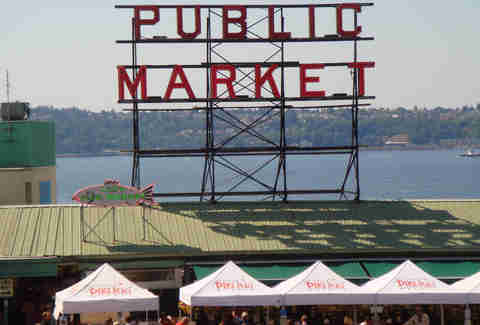 In 2003, a nice little renovation made it a marketplace destination of independent vendors, while still putting in work as a ferry port. 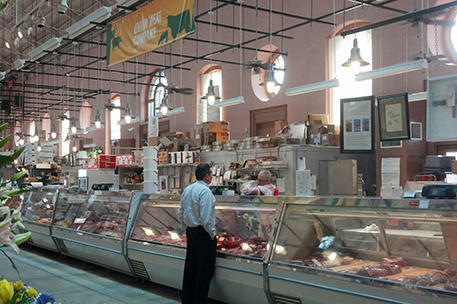 It's not often you can snag an entire lamb (Prather Ranch Meat Co.) in a stunning venue marked by marble floors and epic steel-girded ceilings. Take advantage. How does slow-cooked, herb-infused rotisserie chicken and lamb, lovingly prepared the way Roti’s founder learned while growing up as the son of a butcher in the Swiss Alps, sound? Good? Good. Paninis and cured meats are on the menu at this artisan Italian meat shop… but it’s the famous Salumi Cone served with cheesy bread that's worth the inevitable trip to the cardiologist. 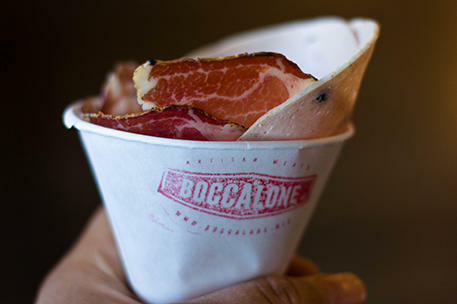 It is quite literally a meat cone; create a custom order of your favorite varieties of Salumi and take it on the go. Read it one more time just to let this sink in: Meat. Cone. 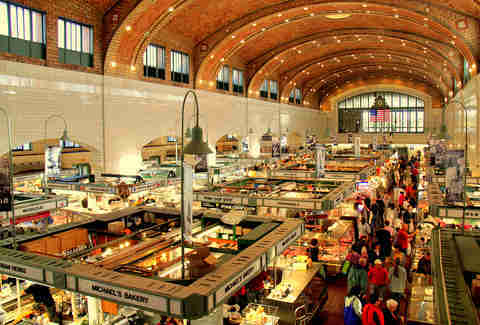 Covering a massive 43 acres, making it the "largest historic public market district in the United States," Detroit’s Eastern Market parking lot also serves as prime real estate for tailgating Lions fans during home games. Open all year long, Eastern offers low-cost commercial kitchen space, training, food-entrepreneurs looking to enhance the edible options in the neighborhood... in addition to all the food you could ever want to stuff in your mouth. 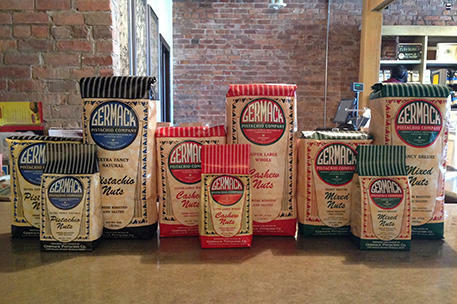 A household name in Michigan, the Germack Pistachio Company is the oldest roaster of pistachios in the U.S., originally catering to Turkish, Greek, and Eastern European immigrants who missed the foods of their homeland. Thanks to them, you can take a slice of the market back to your homeland. 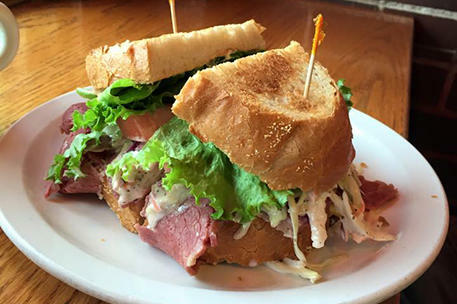 Get prepared to get real intimate over corned beef hash and sammies at this deli with extremely shared seating. Don't want to stare at the guy eating next to you? Check the walls covered in photography from Toby Millman. 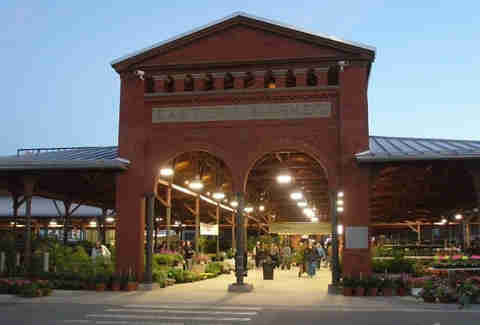 Dubbed a “disgraceful shed” after falling into disrepair after the Civil War, the Eastern Market today has taken its place in the National Register of Historic Places and has only grown since it was gutted in a fire in '07. Situated in the cozy neighborhood of Capitol Hill, the market serves up the excellent food offerings you'd expect, plus it's a social hub with an arts and community center for locals to hold meetings and events, or for guys like Frank Underwood to murder people. Local pickle monger Jason Gallant is the founder of In A Pickle, dishing out crunchy classics like kosher dills and a wasabi pickle that’ll make your eyes water. 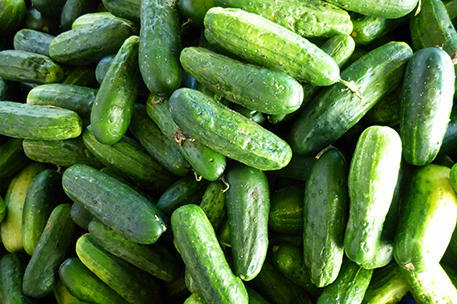 Olives, pickled green tomatoes, and freshly packed sauerkraut are also on hand, if you’re not a fan the perfection that is a pickled cucumber. Courtesy of Union Meat Co. This family-owned butcher shop has been serving residents in the DC area since 1946. Pick up your veal, beef, pork, and even exotics like American Bison, if you’re looking to try something new/pretend you're Daniel Boon for a day. 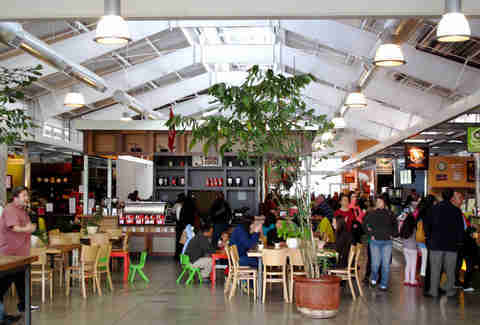 If you’ve visited The Ferry Building Marketplace in San Francisco, you wouldn’t be wrong to think that the Oxbow is a more scaled down version of it, but with a vibe befitting a smaller town. In fact, the first few years after the market opened in 2008 (on basically the day the world economy collapsed) were tough. Today, with Local’s Night on Tuesdays, a revamped common area, and many vendors expanding to include al fresco seating, the Oxbow’s popularity and community vibe has surged dramatically. Take that, Lehman Brothers. 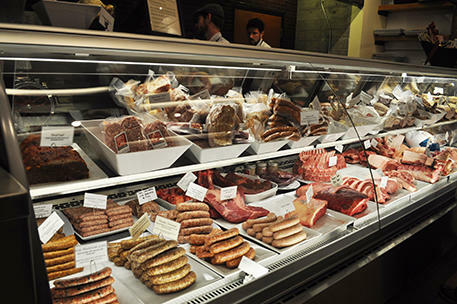 This place is so serious about their meats, they've got a dang charcuterie director. Pick up smoked animals of varying varieties, killer sausages, or even rich broths (nobody is saying you can't drink them) to take home and impress dinner guests or dine-in on a pulled-pork sandwich while silently plotting to steal that job. The overachieving nerd of marketplace bakeries, The Model Bakery certainly has earned its name thanks to its ridiculously perfect English muffins, which celeb chef Michael Chiarello listed among his "best things he ever ate." 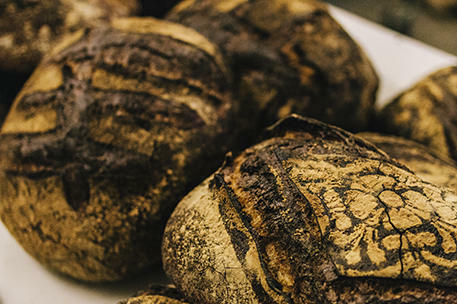 Score some freshly baked bread to go along with the fancy meats you just bought. 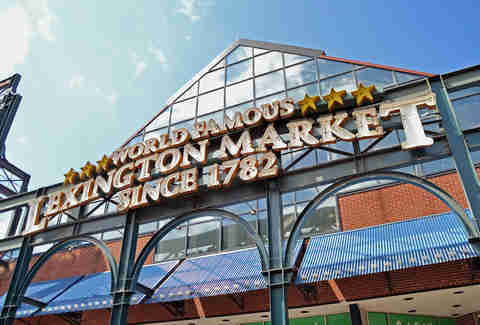 Having withstood both a mayor hellbent on shutting it down and a six-alarm fire in 1949, Baltimore’s Lexington Market still stands in it's original home since 1782. 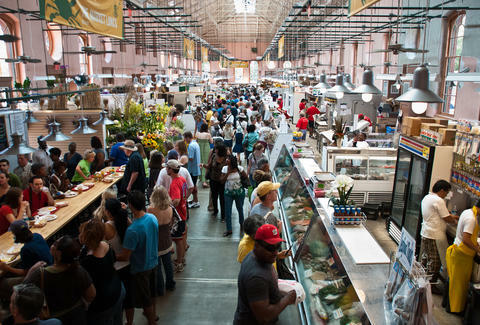 It’s one of the longest continuously run markets in the world -- and is a lunch-time haven for city-workers and students of the University of Maryland. Check out the market during the Preakness for the "Crab Derby," when locals straight up race crustaceans to raise money for charity. 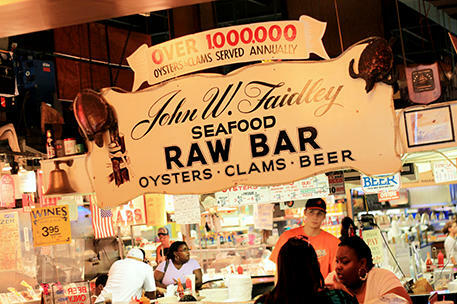 Don’t get too comfortable -- a standing room only establishment, Faidley’s Seafood caters to the comfort of your taste buds only with their lump crab cakes. 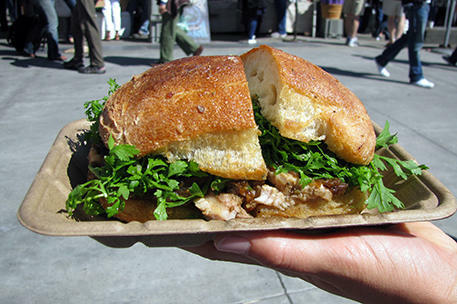 Their crab cake sandwich almost walked away with greatest sandwich in the country according to Adam Richman and the Travel Channel. With sandwiches as big as your head, it’s no wonder this place hasn’t stopped serving citizens of Baltimore since it opened in 1913. Crush the shrimp salad or try the Wall Street Turkey sandwich -- turkey, beef tongue, chopped liver -- or you might even want to take advantage of the extensive by-the-pound selection and attempt to make all this awesomeness yourself at home. 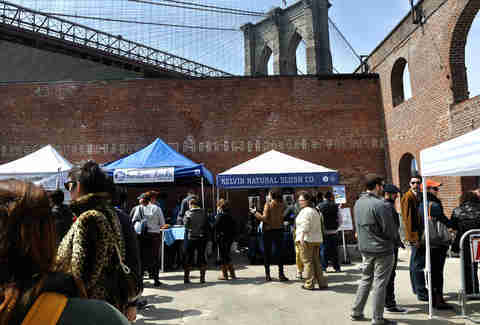 A mash-up of Smorgasbord and Williamsburg (in case you didn’t know), this food festival/market is set on the Brooklyn waterfront from April until the end of summer. In its first year, Smorgasburg provided a green market and places to buy kitchen utensils, before its founders realized people wanted to properly stuff their faces with goodies instead of just taking home a week's worth of kale. With roughly 100 vendors this year and pretty long lines to contend with, you’d do well to plan out your visit beforehand. Or just camp out there. Brooklyn is a pretty chill place. 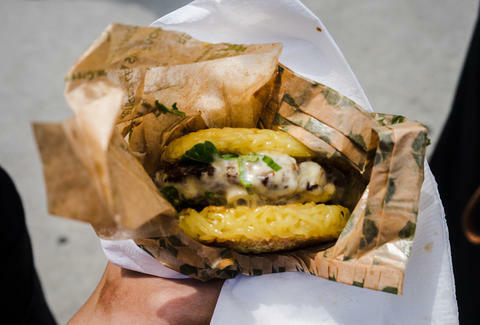 Because the weakest part of any burger is the bun -- no matter how deliciously bun-y -- mad genius Keizo Shimamoto flips the script with this burger sandwiched between two ramen patties. Isn't the future glorious? 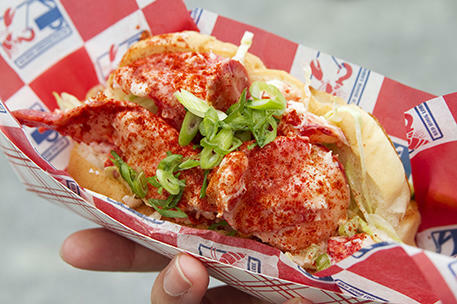 Opened in 2008 by a husband and wife team living in Red Hook, Brooklyn, Red Hook Lobster bills itself as "the freshest lobster in New York," handpicked and shipped from Maine. Pick up a lobster roll, lobster mac'n'cheese, or a BLT with, you guessed it, lobster. 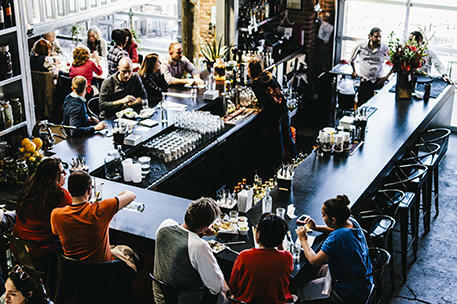 As Denver’s downtown continues to expand outwards, the industrial neighborhood of River North, with its abundance of warehouses and vacant lots, was further revitalized by the introduction of Denver’s first food market, The Source. 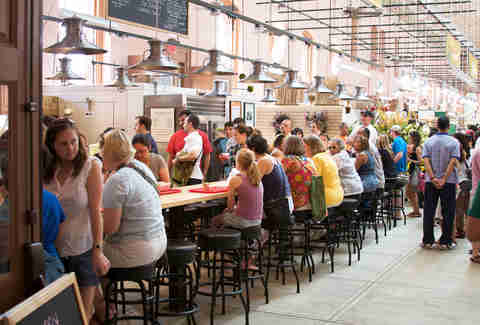 Housed in a 19th century brick foundry building, this market brings all the great fare usually found at a public market -- a traditional bakery, a wine shop, fresh produce, etc. 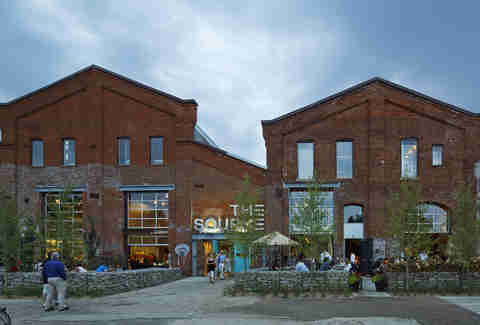 -- but, because this is Denver, also features a design store and art-gallery space. 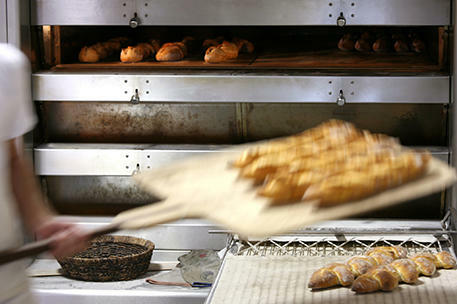 A traditional French Bakery-boulangerie, Babettes serves country breads like French seeded rye as well as classics like croissants and pain aux raisins, while making sure to switch things up and add in different varieties of French bakery fare regularly. Having originally started out as a hot pink taco truck named Tina, the Mexican Taqueria’s location in The Source is its second and largest brick and mortar space that even includes patio seating. Simple Mexican street food is prepared using local ingredients for native-pleasing chow, like the chorizo and red onion taco, placed over a bed of roasted-garlic mash and salsa verde. 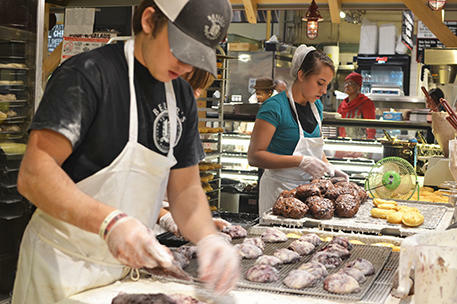 You could easily spend many delicious hours wandering the aisles of the Reading Terminal Market. But be sure to go when the Pennsylvania Dutch have set up shop (not Sunday through Tuesday), and if you're lucky, they'll bring a sweet petting zoo of farm animals along with. Dude, have you petted a donkey? Game changer. This ice cream parlor got its start in 1861, when Mr. Lewis Dubois Bassett started making ice cream in his backyard with a mule-turned churn. 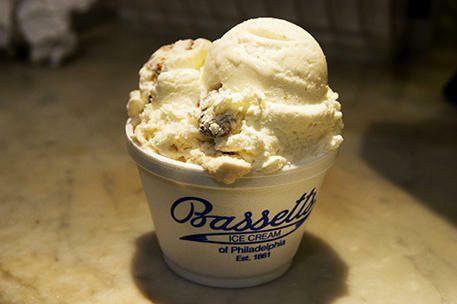 Today, it’s one of the oldest ice creameries around, and the dense, buttery flavors like Gadzooks! and Guatemalan Ripple have people lining up on the regular. 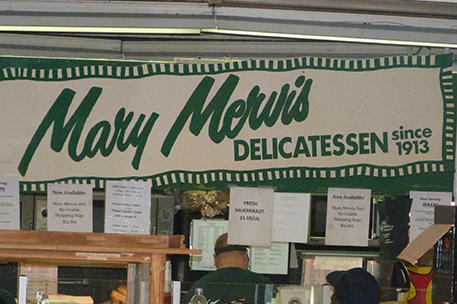 This is the place you want to hit up for the Pennsylvania Dutch’s specialties. We’re talking apple cider donuts. Pecan sticky buns. Amish bread -- which is like regular bread but made with fourteen tons of butter and sugar and everything else that is delicious -- and more baked goods than you can shake a dirndl at. Yeah, we could have gone with Chelsea Market or Eataly. But in a city as large and as busy as New York, a place with a cozy neighborhood feel and personal touch is hard to come by. 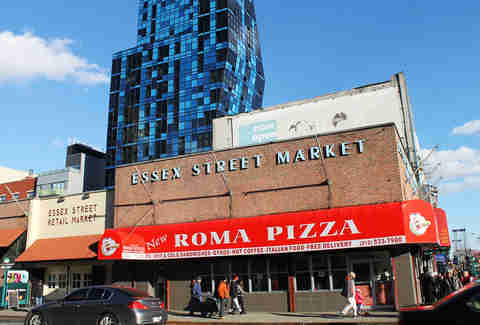 The Essex Street Market has been a fixture in the Lower East Side for 70 years, shaped by the neighborhood’s Jewish, Italian, and Puerto Rican immigrant populations. There are plans to move the market across Delancey street, so enjoy the original put up by mayor La Guardia (you may know him from the worst airport ever) while you can. Really this is a three-for-one. 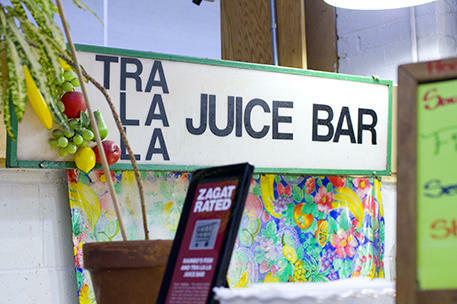 The dudes who own Tra La La are the same folks behind Rainbo's Fish and Rainbo's AND. This means you can grab the much sought after carrot pistachio walnut muffin to go with your mango smoothie and a side of kosher fish sandwich... OK maybe don't have all of that at once. This Greek shop uses fresh ingredients tucked into crispy phyllo dough and seasonal vegetables for their pies. 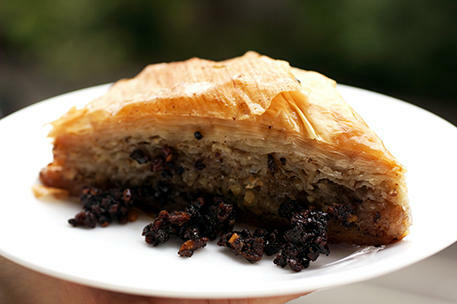 Down a Greek ice coffee, grab a freshly made spinach pie, and a piece of baklava for dessert. Yes, you should eat breakfast lunch, dinner, and dessert here, why, were you planning on going anywhere else?